Vodafone Essar, the pan-India GSM mobile service operator has come up with first-of-its-kind innovative offer maximum benefit to its prepaid customers to make STD calls to any network-anywhere in India at lowest price. 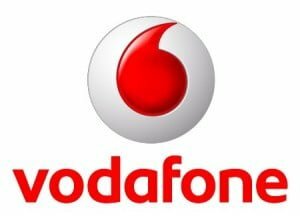 Vodafone introduces new Special Tariff Voucher (Bonus Card) of Rs.147 for its prepaid customer which allows to make STD calls to any network in India just at 30 paisa per minute. The Bonus Card will be valid for 30 days from the date of recharge. The Bonus Card 147 is available across all Vodafone Stores, Mini Stores and retailers in Jammu and Kashmir telecom circle. For more information, call Vodafone Care on 97960-97960 from any phone (Tolled) or 111 from Vodafone mobile phone anytime. Even if one used to call for 1000mins a month, the cost per min (30px1000 + Rs147 = Rs447/1000min) will be around 45p/min..